Long sand beaches, the sun shining at around 32˚C and tanned blond guys jogging down the beach promenade, yes we are still in the Netherlands. My first trip to the beach was a rather cold one as the 1st of January is a traditional beach visiting day. For some reason they even go to swim on this day. But if you catch a good summer day and go to a place like Kijkduin or Scheveningen, dutch summer is quite enjoyable. You might not go for a long swim but you definitely get tanned, eat fish and feel the salty breeze. When talking about Dutch Landscape the cities are one important part of it. Let’s have a look at the royal residence. Den Haag is probably one of the best cities to life in The Netherlands. You have the queen next door, most of the tourists prefer Amsterdam, a beach to go jogging or swimming in summer, international flair and coffee shops around every corner. The main attraction in Den Haag is the parliament (The Binnenhof) and its surrounding buildings. Den Haag is probably one of the best cities to life in The Netherlands. You have the queen next door, most of the tourists prefer Amsterdam, a beach to go jogging or swimming in summer, international flair and coffee shops around every corner. 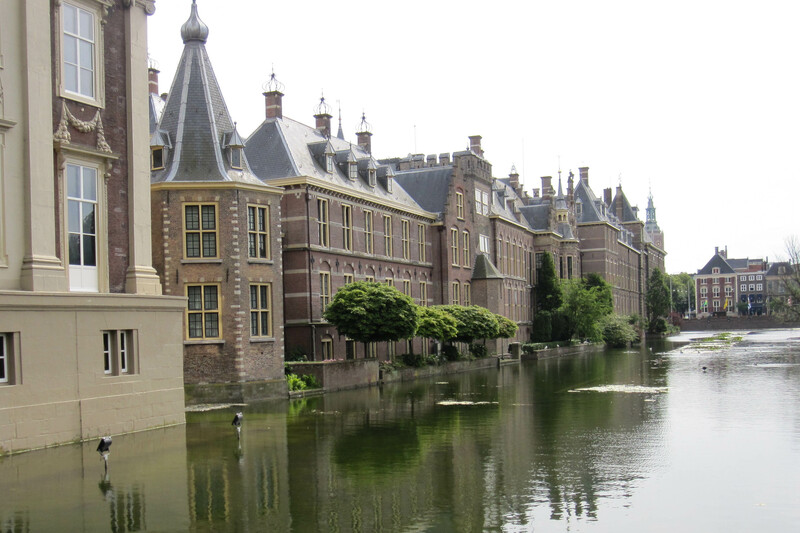 The main attraction in Den Haag is the parliament (The Binnenhof) and its surrounding buildings.